This is a fully restored and numbers matching 911T. Certificate of Authenticity is available. The car underwent a complete bare metal, windows out body restoration to the highest specification. Matching case engine rebuilt to 2.7 RS specs and highly detailed. All work is photo documented! Please ask for pics. Sport seats and Nardi wheel as options. 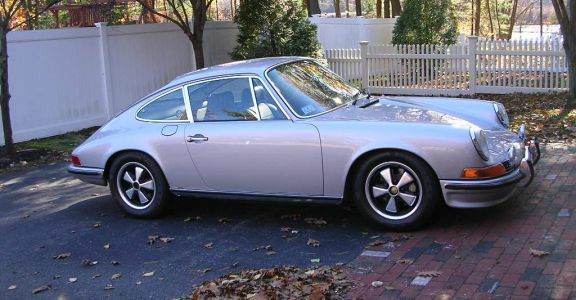 A wonderful, completely restored 911 Coupe in classic silver over black interior. Rare outside oil filler model (only 72). Only 2400 miles since completion! Car is in the US. Worldwide shipping gladly arranged.